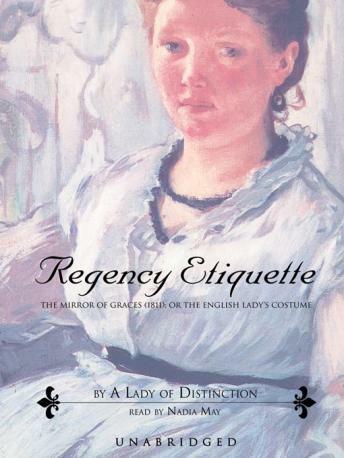 In the flowery language of its era, this book details English customs and manners of the late eighteenth and early nineteenth centuries, including women's dress, propriety, and beauty aids, with advice much sought after by the women of Jane Austen's time. "Naturally, a 'Lady of Distinction,' in coy anonymity, has written it. But this book was no joke in Regency times, and much of the advice would have been taken very much to heart. "-Anne Woodley, editor, Regency Collection On-Line.